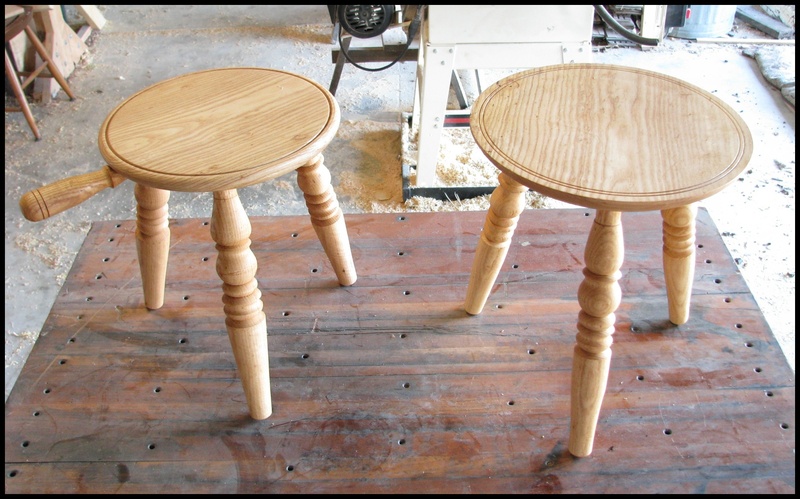 Here are two different 3-legged stools, in Green Ash. 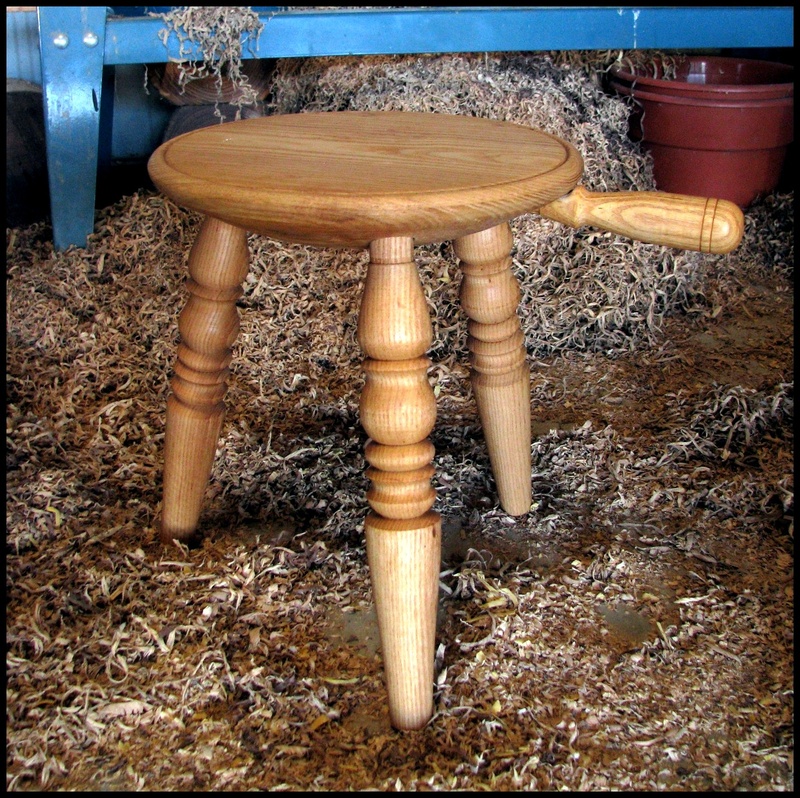 This one has a handle, like a milking stool. 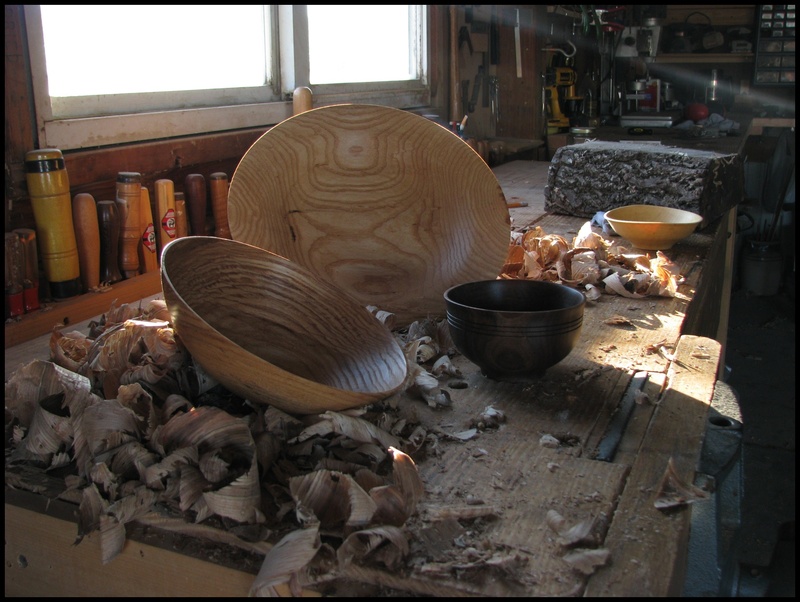 An Ash plate, bowl, walnut bowl, and a small persimmon dish.